Located in the heart of the Canadian Rockies and yet only 90 highway minutes away from the Calgary International Airport, the charming village of Lake Louise offers exceptional accommodation, dining, shopping and nightlife. Of course, there are aprés-ski and instead-of-ski things to do like sleigh rides, ice-skating, cross-country skiing, snowshoeing and dog sledding. 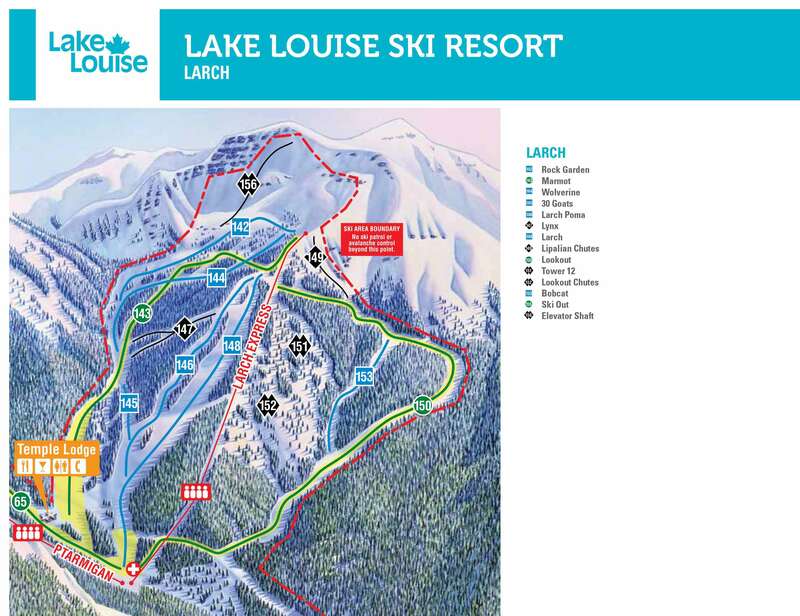 Lake Louise has more skiable terrain than any other single resort in Canada with over 4,200 acres of skiable trails with 8 high capacity interconnecting lifts and 3 mountain cafes. You can run down four different mountain faces and get as much powder, moguls and groomed slopes as you could want. Take on the steep runs above-the-treeline runs; cruise through wide-open bowls on the backside or dash along the tree-lined trails of Larch. The variety is spectacular. The facing mountains and local peaks are magnificent to look at. For beginners, there are a substantial number of easy runs and a good ski school whilst for intermediates there is a wide variety of slopes with good progression to the more difficult runs. For advanced there is an excellent choice of difficult runs combined with plenty of opportunities for more extreme runs. 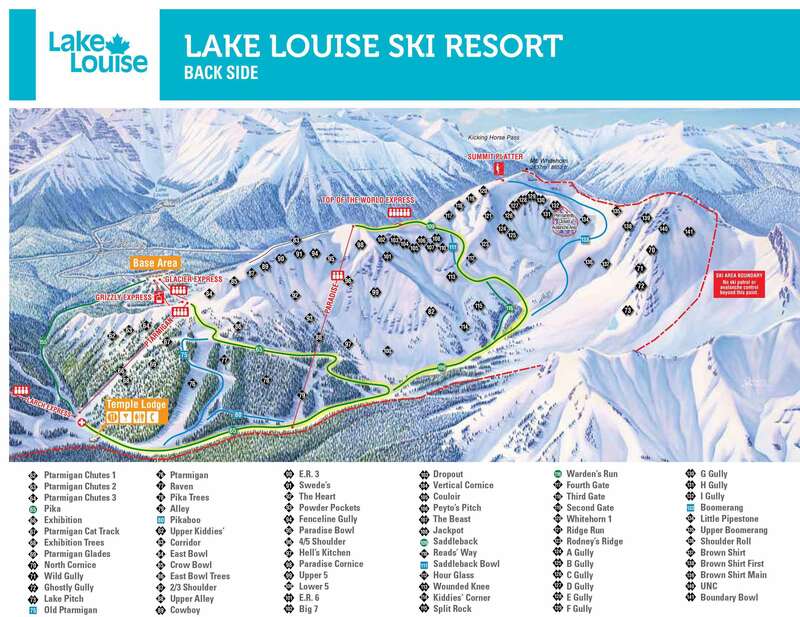 Lake Louise is good for snowboarders too with an excellent snowboarding park and a good number of freestyle and alpine courses. 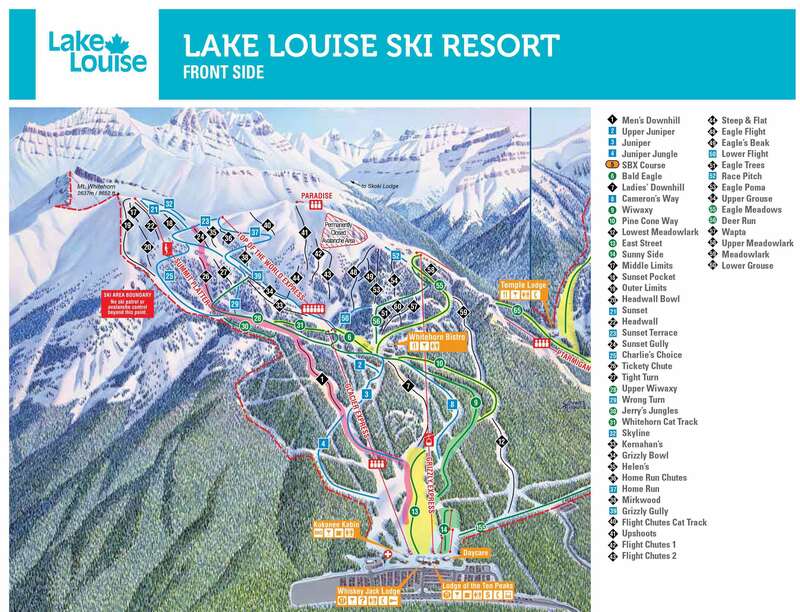 There is a Tri-Area lift pass available with Mt Norquay and Sunshine Village, with Banff situated in the centre. The ski bus is free with this pass. My favorite mountain in Alberta. With two whole mountains to ski on you don&#39;t have to ski the same runs over and over. Even on a busy day if you look you can find trails with hardly anyone on them. Best glades run I have ever ridden on and it was a blast. Fantastic lodge with parking really close.